Tooth decay is common, whether it’s caused by inconsistent dental attention or small cavities that have severely compromised teeth. Dental crowns are lasting prosthetics that improve the health and beauty of an affected tooth while allowing it to function with renewed strength. Ask Alpine Dental Center about dental crowns in Thornton, CO., including the cost of crowns and how long your repaired tooth can last with these dependable restorations. Before placing the crown, Dr. Gurman prepares your tooth, buffing away natural structure that has been damaged by any of the above. Your crown encircles the remaining enamel, creating a protective barrier against the further effects of harmful bacteria. The crown is also customized to mimic the natural shape and shade of surrounding teeth, so your smile looks seamless. With the application of a dental crown, your natural tooth can last longer and remain healthier. At Alpine Dental Center, our Thornton crown restorations are provided with your expectations and comfort in mind. Dr. Gurman provides many tooth-colored and realistic materials for fabricating your dental crown, including e.max® and lava bruxir®. These prosthetics contain no metal, so your restored teeth won’t appear unnatural over time. And while metal-free restorations were not previously recommended for patients with heavy bites or who are hard on their teeth, these upgraded aesthetic materials provide the durability of metal-based crowns with all the cosmetic benefits of traditional porcelain. If the treated tooth in your smile is highly visible, Dr. Gurman makes every effort to ensure final treatment is as life-like as possible. The shape and shade of your crown are customized to resemble surrounding teeth, ensuring that your smile remains seamless. Broken or Damaged Teeth? Contact Dr. Gurman! 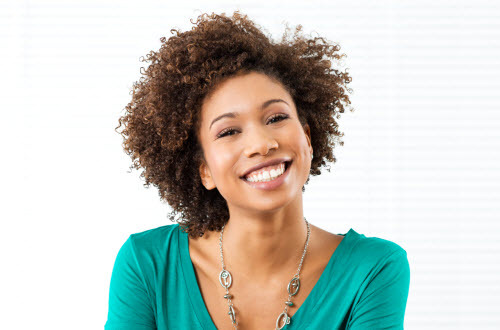 With cosmetic and restorative dentistry, we give patients the smiles they want and deserve. If you have questions about whether you need a dental crown or if a crown is the right treatment for you, we welcome you to call our team at Alpine Dental Center today, and schedule an appointment. We are committed to helping you achieve a smile that looks and feels great with tooth-colored dental crowns.